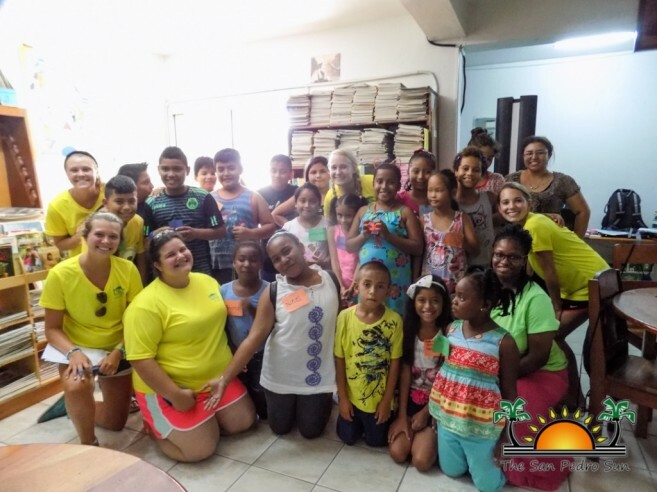 « Older: Camp Starfish: Special fun for Special kids! The San Pedro Town Library (SPTL) started its free Literacy Camp on Monday, July 25th for children ages 7 to 13. 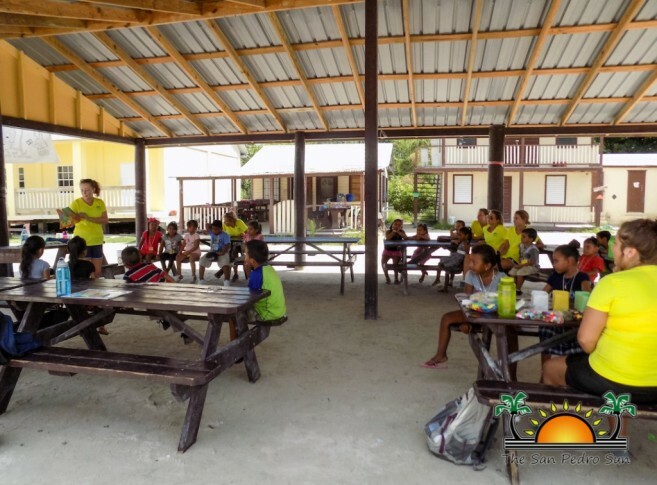 With 29 registered children, the camp aims at getting the island’s youth to become more creative, while creating better readers and spellers for tomorrow. The primary focus is on grammar, vocabulary, character building, basic anatomy, functions of the brain, and sharing useful information. According to Library Assistant Marlene Coral, learning does not have to be dull. The library manages to utilize interactive methods to gain the children’s interest, and retain their attention span daily. On “Fun Day”, which is every Friday, the library incorporates fun methods of learning by playing educational games and watching films. “We want to equip the campers with practical knowledge that they can use, so they could implement it in their daily lives. It is always important to have fun when learning,” said Coral. The camp will culminate on Friday, August 5th, where prizes will be given out to the campers based on their achievements. Coral also mentioned that the library has extended their pilot tutoring program. Level II (over 11), can meet at the library on Mondays and Tuesdays at 9:30AM to 11:30 AM, and Level I (under 11) meets on Wednesdays, Thursdays, and Fridays at the same time and location. A group of volunteers from the University of North Carolina at Wilmington (UNCW), United States are also in on the initiative. These volunteers range from undergraduate, and graduates who are studying to become teachers, with one majoring in Special Education. 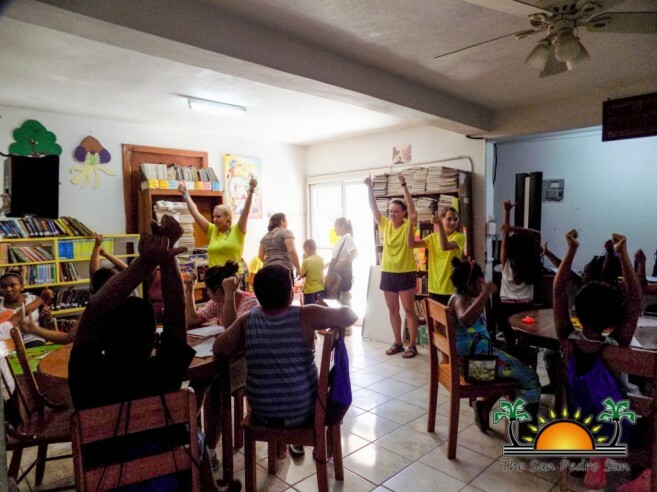 Each day, the volunteer group provides support to the campers, helping them to read, enjoy story-telling, and even do arts and crafts. 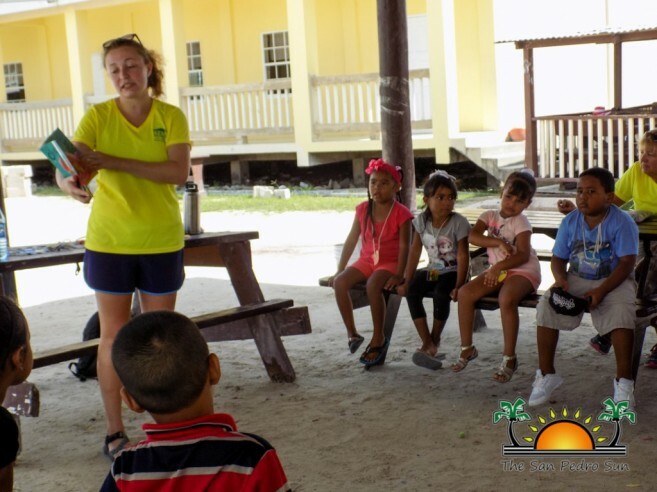 Elizabeth Helbling, a UNCW volunteer, states that they are all about giving back to the community on La Isla Bonita. 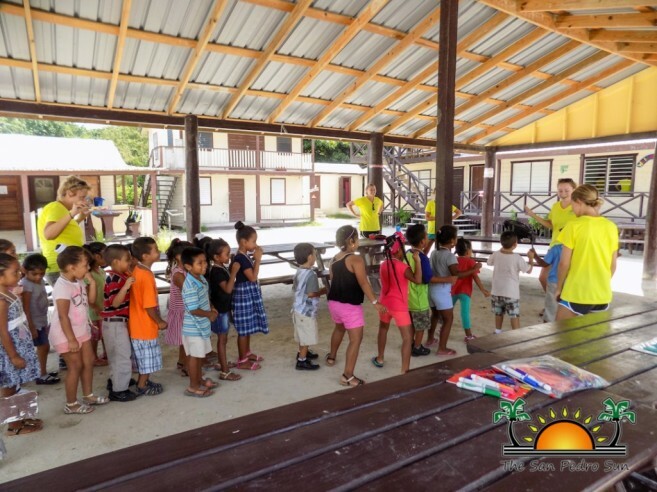 Since last year, they have been committed in assisting children in enhancing literacy, reading, and math skills that could benefit them in the longer run. 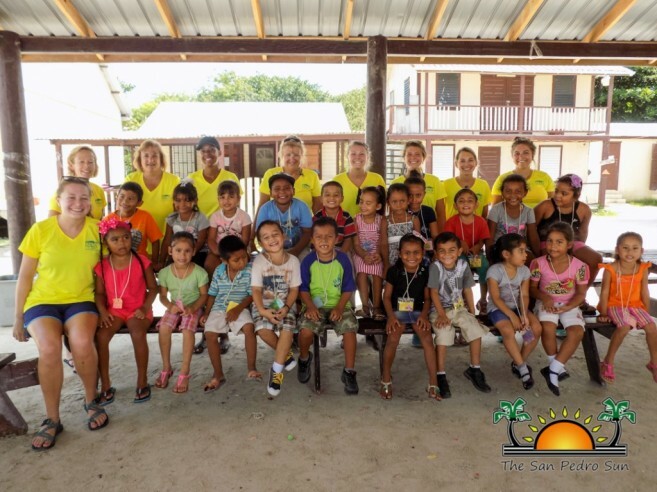 “It is awesome to see these kids, and it made me realize that they do need a lot of help. We were willing to help them every step of the way, and they appreciate it,” said Helbling. Camp Manatee is another camp that the UNCW is hosting at New Horizon Seventh Day Adventist School in the mornings. Dr. Susan Catapano, camp coordinator, is helping preschool toddlers prepare for Infant I. Along with assistance from her 17 UNCW volunteers, the children are taught letter recognition, how to write their name, the basics of sounds, counting, and cutting, in order to secure appropriate skills. The enrichment camp is geared for three age groups: 6-7 year-olds, 8-9 year-olds, and 10-11 year-olds. Students are taught to retain their grade level skills by practicing their vocabulary, math abilities, and reading comprehension. The camp will run through August 4th. The library is always looking for ways to improve its facility and services. Starting on Monday, August 1st, the library will be introducing their new internet café to the public at a competitive rate. Patrons can enjoy using the internet for just $3 per hour, and take advantage of their flexible printing services. Funds will be used for the SPTL’s operational needs. Coral indicated that the library is still lacking necessary equipment, and the library is opened to any assistance or donations. To date, the library is in need of two computers for the circulation desk, an air conditioner unit, a multifunctional printer with toner, and a technician to fix the lighting In the ceiling. SPTL is also seeking individuals in their mid-20s to become active volunteers. The library needs these volunteers to help assist in cataloguing books weekly. If you are interested, you may visit the library located at South End Barrier Reef Drive or for more information, you may contact Coral at 206-2028/ 631-1818.